The name ‘Linje Tio’ (line ten in English) is inspired by the tram line that traversed the length of Stockholm, the Swedish capital, from 1922 to 1967. It linked the north with the south and now ‘Linje Tio’ is linking two different global capitals: London and Stockholm. 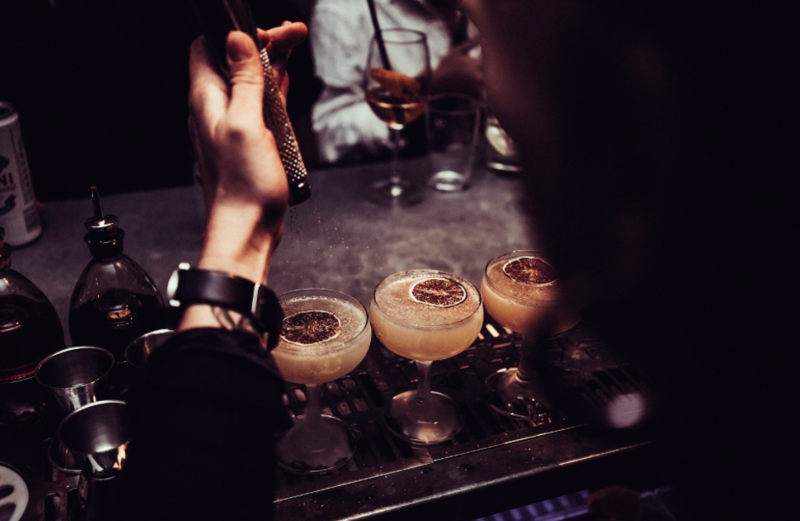 The authentic and innovative Swedish bar will be taking up residency in the heart of Soho, with an intimate pop up nestled at The Den of 100 Wardour St, from the 31st of January until the 7th of February. It will then move next door for a two-day explosive finale of cocktail mixing and tasting in the main Restaurant and Club from the 8th until the 10th of February. Having attended the launch night, I have nothing but praise for the bar. 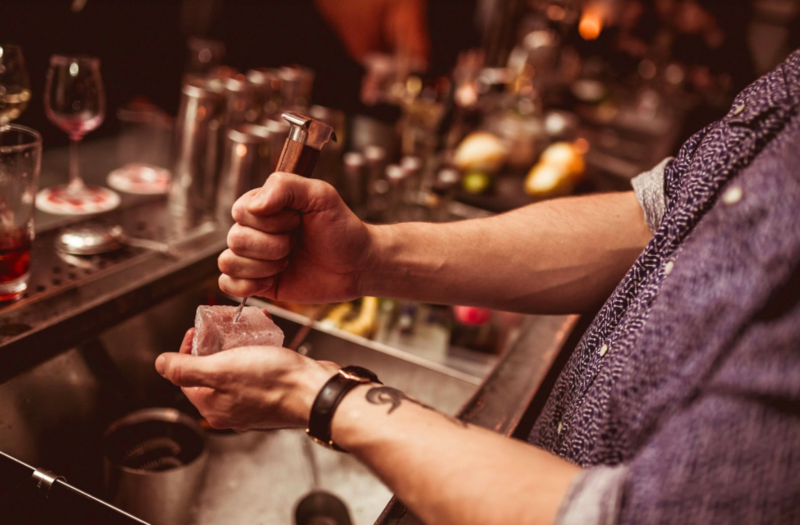 However, do not just take my word for it, Linje Tio was ranked number 44 out of 50, in a pole by World’s Best Bars- the first ever bar in Sweden to be given such a prestigious title. 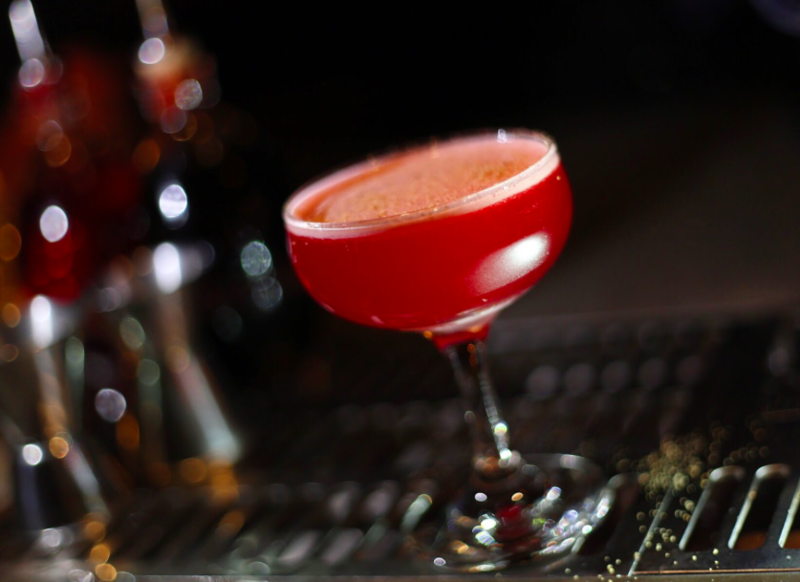 It is as if both Sweden and London have been put into a shaker to create the perfect cocktail of a dynamic and welcoming atmosphere, classic and creative modern cocktails, as well as live music. 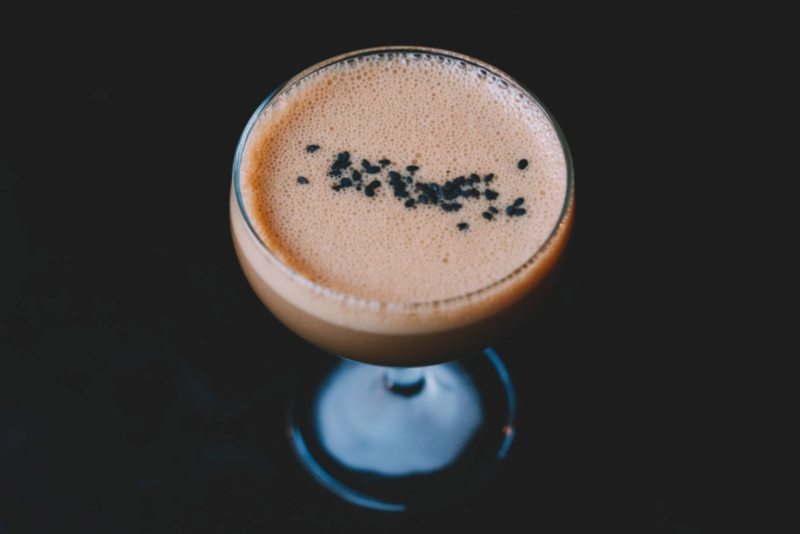 With its roots originating in southern Europe and the Middle East, Linje Tio’s finest mixologists inject a taste of both the Mediterranean and Nordic cool into their drinks. The results are original and punchy cocktails such as: ‘Beets by Tjoget’, the Swedish take on a Pina Colada, consisting of beet infused Absolut Vodka, coconut syrup, ginger, lemon and nutmeg. As well as La Belle Epoque: Pierre Ferrand Cognac Amber, absinthe, lemon, sugar and champagne. Linje Tio also caters for non-alcoholics with its aptly named cocktail: ‘So Fresh So clean’- a blend of Seedlip Garden, coconut syrup, rosemary tincture, lemon and grapefruit. This certainly will not leave you with a hangover, and is perfect for a late night refreshment if you have work (or University like me) early the next day! My friend and I both agreed that ‘Beets by Tjoget’ was our favourite out of all the cocktails we sampled (purely for journalistic purposes of course). It is spicy and flavoursome, easy to drink and leaves you with a warm feeling inside. Cocktails are reasonably priced for London and The Den is open 5pm until late daily.